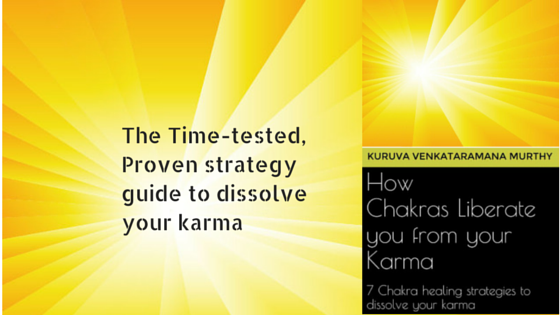 My time-tested, proven strategies to help you dissolve your karma. If you feel the need to heal your body then start healing your chakras and not the body. This post is a tiny part of my book ‘ HOW CHAKRAS LIBERATE YOU FROM YOUR KARMA‘. Read and Resolve. Very helpful and appropriate. I consider prayers and service – 2 sure shot ways. I have the book and i wonder if I can do all the 7-technieks from the book in one session together in one meditation! Do you have that in a manual? B.d.w. on the throat chakra you use for 20 min. the OM but the total of the secion is 12 minutes! Thank you for having my book. Yes that was a typo, I have rectified now in the latest version. It is better that you practise one chakra at a time for better results. Once you complete the 21 day routine for each chakra, then let me know will mail you the details of how to practise all of them at a time. You can buy the physical book from this website on homepage.